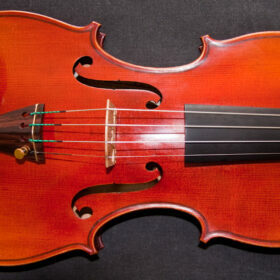 An excellent new violin, with a sumptuously warm tone. Finished in lightly antiqued European varnish. Carefully modelled on the world famous ‘Titian’ Stradivarius violin of 1715, which is widely regarded as amongst the finest of Antonio Stradiviari’s Golden period violins. SKU: TAS19002 Categories: New Violins, Violins. Tags: Antonio Stradivari, new violin, Stradivarius model, Titian Stradivarius. 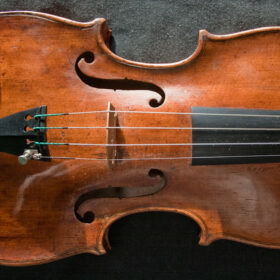 A beautifully crafted new violin, with excellent tonal qualities. This instrument already has a nice clean response and the sound is only going to improve as it matures and opens up. It is finished in a lightly antiqued classic European oil/spirit varnish. 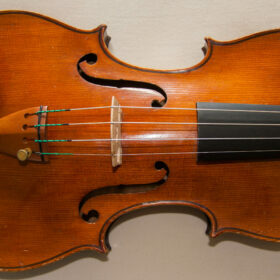 This violin is respectfully modelled on the famous 1715 Titian Stradivarius violin – see below for full details of this violin and its history. 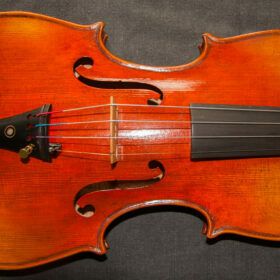 This beautifully made violin uses high quality materials with excellent tonal properties. The spruce and maple is of fine graining for best sound qualities and has been air dried for over 12 years prior to use. 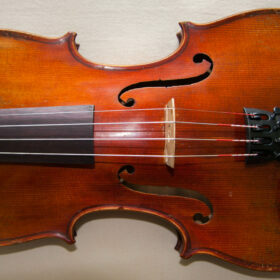 The violin is finished in a nicely antiqued varnish. 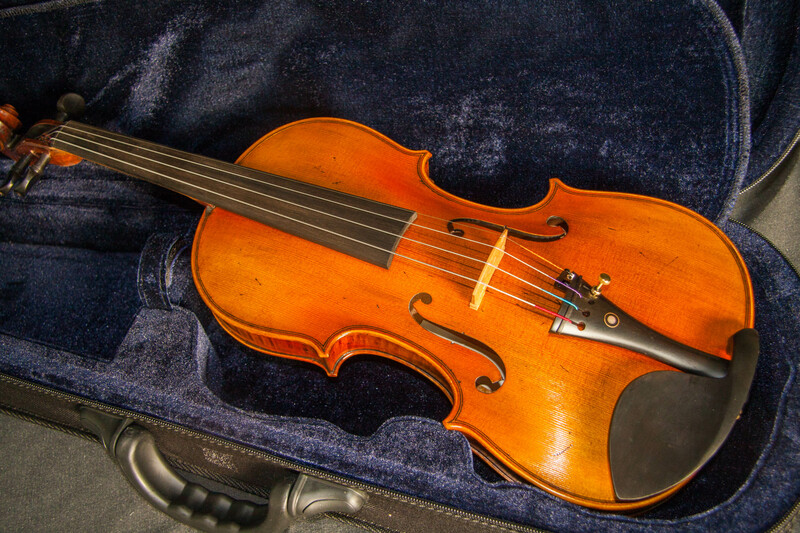 The tone is already excellent for a new violin and after a few months playing you will have a beautiful sounding instrument with a wonderful appearance that will be both rewarding and pleasurable to play. 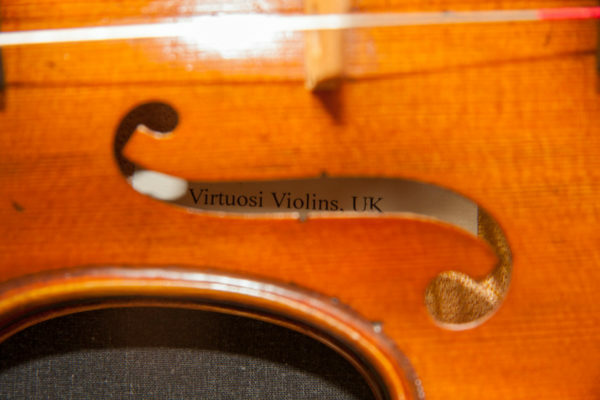 Unlike many companies we make no fanciful claims about our violins being ‘professional’ or ‘soloist’ standard – no soloist or professional musician would ever use a violin of this price bracket – that is the simple reality of it. 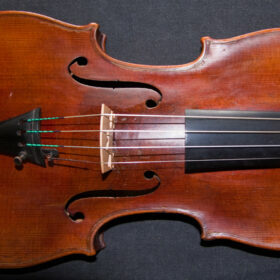 However, we will say that in the under £1000 price bracket we have not found any violins that are better. 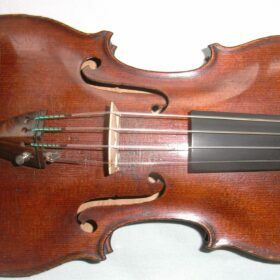 (Many companies ship with the bridge down, which frequently results in the violin arriving with the soundpost having fallen down. 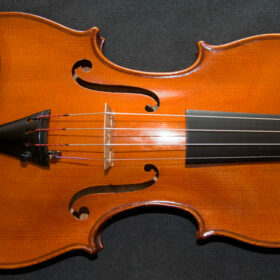 Now the two most important elements in the sound quality of a violin are the bridge and the soundpost, which require fine adjustment by an experienced person to get the optimum sound out of your instrument, meaning a trip to your nearest luthier if you are to get the best out of your newly purchased violin. This is why we have taken the time to develop a safe method of shipping our violins that ensure that the careful set up is maintained for when it arrives with you). 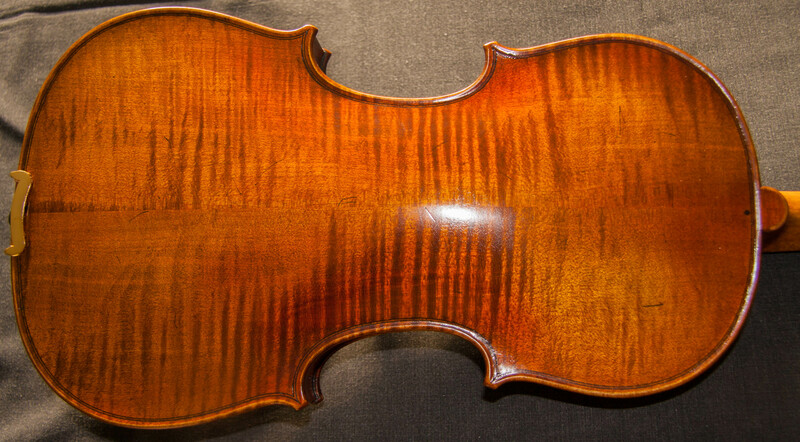 Nearly every new violin advertised for sale these days comes with a claim that the wood is 10 – 20 years old at least. The inside story from those in the know is very different. The truth is that probably fewer than 10% of these instruments have wood that is 5 years old. Pressures of time and economy on price mean that an ever increasing number of makers are using ‘Green Wood’, less than a year old. 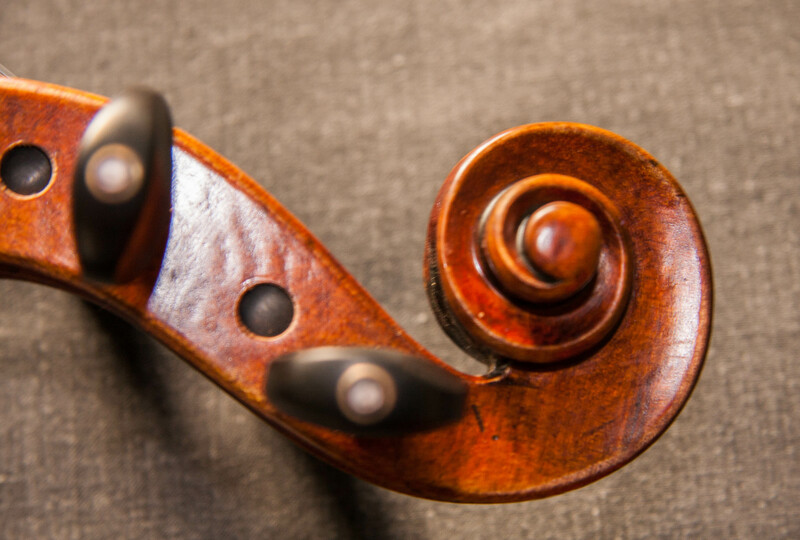 Not only do violins made from green wood lack the tonal qualities of those constructed of mature wood but there is a high risk that they will crack, joints will come apart or the neck will warp. Our makers have a stockpile of wood sufficient for 5 years and the instruments that we select from them are made from wood guaranteed to have been air dried for at least 14 years. Forced drying, using heat to speed up the process makes the wood brittle. This violin comes with a free upgrade to Pirastro Tonica strings. For an extra sizzling performance Contact Us to upgrade to Pirastro Evah Pirazzi strings for £65.00. 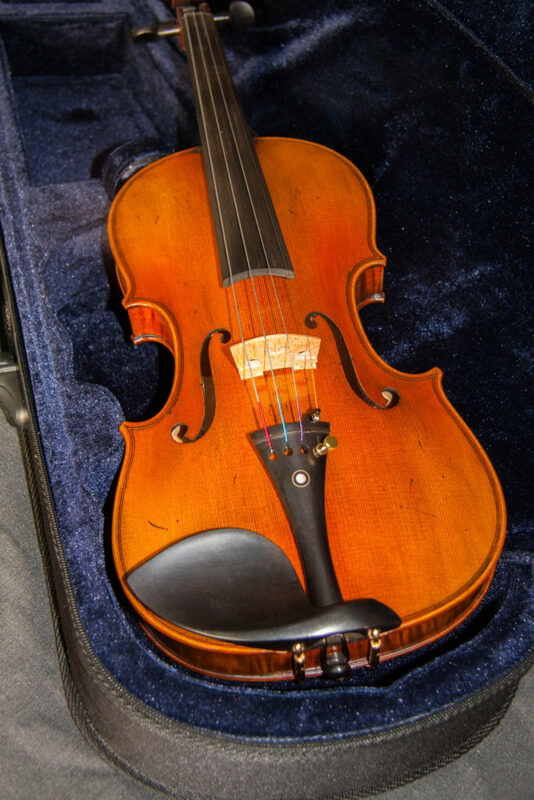 The original violin made by Antonio Stradivari in 1715 is a famous violin that is very highly rated even amongst golden period Cremonese instruments. 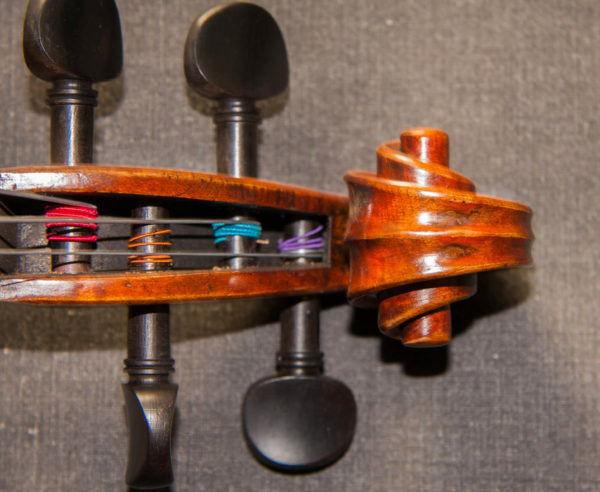 It is also one of the most intensely studied violins, having been part of the Strad3D Project wherein it has been subject to 3D modelling, CT scanning, dendrochronology studies, sound tests and modal analysis all by top scientists in their field. 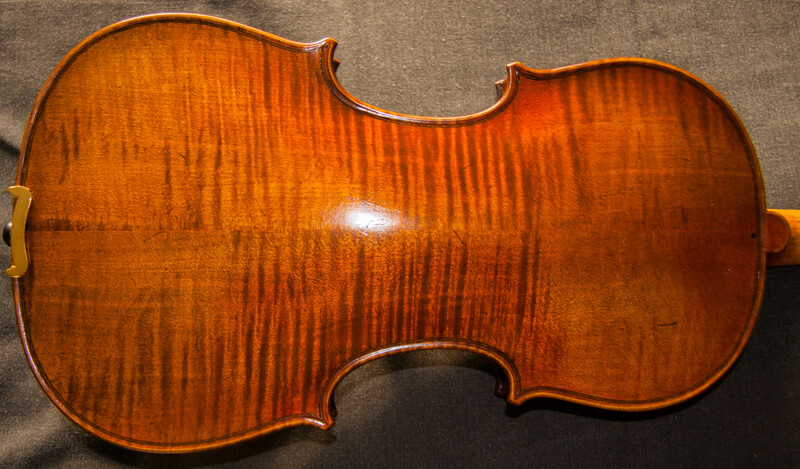 As such it is one of the best Stradivari violins to reproduce as there is such a wealth of information and precise details on all its dimensions and acoustic qualities, assisting skilled luthiers to make the most accurate models possible. The Titian is based upon Stradivari’s ‘P’ form, an internal ‘mould’ upon which the outline of the violin is built, which is the traditional Cremonese method of making a violin. The Titan has not been used in concert a great deal until very recently when soloist Cho-Liang Lin has had use of the violin. Prior to that Efrem Zimbalist owned it for a couple of years in the 1920’s. Other than that the Titian has largely been in the possession of private collectors, wherein it saw little in the way of concert action. In fact when it as loaned to Cho-Liang Lin for use it required significant adjustment by foremost luthier Sam Zygmuntowicz to make it sound fit for public performance. 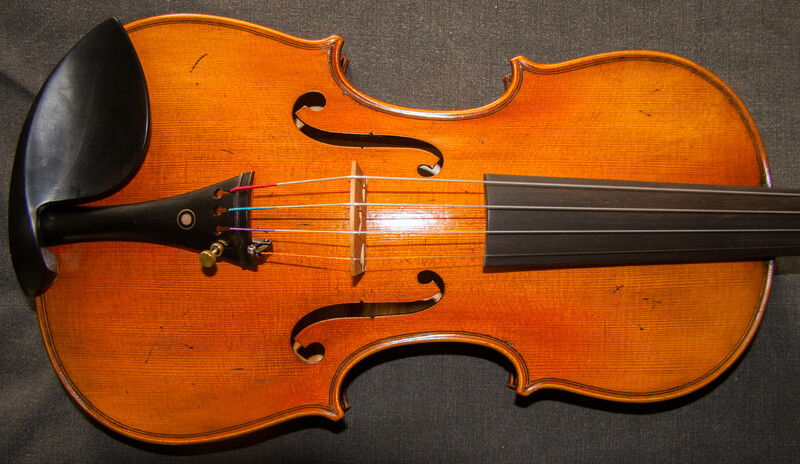 It appears that the violins name, ‘Titian’, has its origins with the French violin dealer Albert Caressa who was reminded of the work of the 16th century Venetian painter of that name by its clear orange-red varnish. Titian being the Anglicized name of the artist Tiziano Vecelli whose use of colours had a great influence on the future of western art. He was known by his contemporaries as “The Sun Amongst Small Stars” (taken from the concluding line of Dante’s allegorical poem ‘Paradiso’). 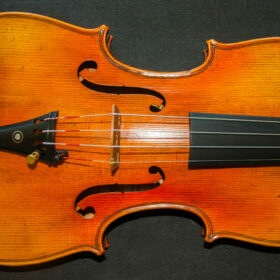 Old Antique German Violin ca1900 lab. ‘SAXONY’ – Incredible Sound!